It's official! 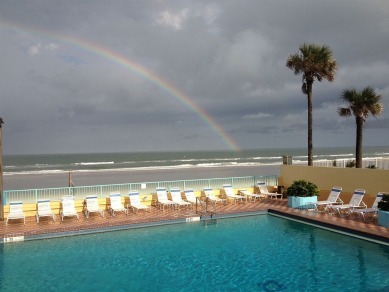 The Sixth Annual FALDP Conference is scheduled for Saturday September 19 in Daytona Beach, Florida at the Fountain Beach Resort. For the first time ever we are repeating the venue. We tried to find a similar location on the west coast, but nothing could come close as to amenities and cost. The accommodations cost $59 per night for best ocean view; and $49 per night for ocean view. The conference registration form is on the site. Once you register for the conference you'll receive the discount codes for accommodations and a conference confirmation. The conference fee is $75; new membership [or renewing members] with conference fee is $130. A full agenda will be posted on our Conference Page in the next few days. The theme for this year's conference is "Legal Literacy - Axis of Justice". Ken Diaz, FALDP Member and Co-Founder will discuss how to build an online business - not just a website. Ketty Rodriguez - our FALDP Ambassador for Lee County and Spanish Coordinator will explain how she can help our members and the community by assisting in serving the hispanic community. A central Florida woman who is pro se, [who shall for now remain anonymous], will speak about her unspeakable personal difficulties in accessing the legal system and the court's blatant denial of justice. If you pay here, don't forget to go on the Conference Page and submit the Conference Registration form. On June 1 and through July members renew for the regular membership fee of $75. No one is dropped from the membership roster for nonpayment until the end of July. We encourage you to renew before July 1 so that you don't miss out on important announcements, referrals, and events. We have set a tentative date for our next webinar as Saturday July 3 @ 11:00. We are presenting FALDP Certification for the first time. Many of you have requested that we implement a certification process - and here it is. The page explaining the basics of certification is already on the site here: FALDP Certification The main purpose of the certification process is to elevate the standards in our industry. We hope to encourage greater credibility for our members. FALDP members having chosen to be members and also becoming certified as legal document preparers will show the world that each of you is serious about your profession and invested in doing the best possible job for your customers.For general information about our webinars, please visit our Webinar Page. See you there! Please Note: Although members who do not renew before July 31 are not dropped from the membership roster or member directory. If you have not renewed you will not automatically receive an invitation to our webinars. Certification for legal document preparers has been discussed for some time. For obvious reasons we do not want to be regulated by the Florida Bar. The process to become licensed through the Florida Department of Business and Professional Regulation, although not out of the question, is time consuming and difficult. And it also may be unnecessary. Many professional certifications were originally through a trade association such as ours. For example, until 2013, Home Inspectors were not licensed through the state at all. Likewise, Behavioral Analysts were initially self-regulated, and over time became recognized by the state of Florida; certified; and licensed. And, surprisingly, Florida court reporters are not required to certify through the state whatsoever. The Florida Court Reporter's Association offers a voluntary certification process. The Florida Association of Legal Document Preparers is following suit. We have discovered two separate instances in which an attorney and a nonlawyer have solicited business from pro se litigants. I have redacted contact information and company names as I prefer not to provide any free advertising for either of these companies whom I consider bad actors. These were each brought to my attention by FALDP members. We believe both are acting outside of the rules for solicitations. 1. Rule 4-7.14(a)(5) - Cost disclosure, if the advertisement provides fee information. Here, the attorney claims she will "resolve all of the issues in your case ... economically". The word economically is a direct reference to fee information, however, cost is not disclosed. 2. Rule 4-7.18(b)(2)(B) - "Advertisement" on the outside of direct mail advertisements and on each page of the advertisement ......."
Here, it is unknown whether the word Advertisement was on the outside envelope, however, it is clearly missing on this page. Violation of Advertisement Mark Rule. 3. Rule 4-7.18(b)(2)(H) - Targeted direct mail and e-mail must contain a statement as to how the attorney obtained the information about the prospective client's legal matter. Here, the attorney merely states a divorce case number in re. The attorney does not clearly state "how the attorney obtained the information about the prospective client's legal matter"
4. Rule 4-7.18(b)(2)(E) - Targeted direct mail and e-mail must include as the first sentence "If you have already retained an lawyer for this matter, please disregard this letter." Here, the attorney did not include the required statement at all. Violation of First Sentence Rule. 5. Rule 4-7.13(b)(1) - Predictions of Success: An advertisement cannot include statements that a consumer can reasonably interpret as a prediction or guarantee of success or specific results the lawyer can achieve. Here, the attorney infers a guarantee of the prospective client's specific results and guarantee of success by stating, "We will aggressively and thoroughly pursue all avenues necessary to obtain the outcome you desire". The prospective client's 'desired outcome' is a 'specific outcome'. The statement itself infers a 'prediction of success'. A consumer can "reasonably interpret" this as a prediction of success in obtaining their desired (specific) outcome. 5. Rule 4-7.18(b)(2)(C) - Statement of Qualifications Rule. "Every unsolicited direct mail and e-mail communication to prospective client's must be accompanied by a written statement detailing the lawyer's .... background, training and experience and must specifically include the advertising attorney's ... experience in preparing cases similar to the one that forms the subject matter of advertising. Here, the attorney merely states her office is a "full service boutique, family law firm". It lacks any background, training and experience information in addition to lacking any experience in preparing similar cases information. Although I have no way to confirm, I highly doubt the attorney complied with Rule 4-7.19(a) - "All unsolicited direct mail and direct e-mail advertisements must be filed for review at least 20 days before their planned use. Nonlawyer Solicitation Rule 4-7.13(b)(5) covers non-lawyer advertisements. Among other things, the following disclaimer must be clearly and conspicuously displayed, "Not an employee or member of law firm". Besides failing to include the 'Not a law firm...' language, the attached nonlawyer letter is deceptive in telling the recipient he/she only has only 3 options ... implying he/she must choose one - when in fact the respondent does not need to take any action at all. False and predatory. Just my thoughts out of frustration watching competitors flush morals and ethics down the toilet in their advertising (especially "COURT COSTS WAIVED"), but more importantly, these advertising practices are largely responsible for giving attorneys and the bar a low opinion of LDPs as a whole. We now have four spanish pages on our consumer navigation menu - Immigration, Divorce, Civil Indigent Status, and an Intro Page. We intend to expand these pages so that we can better serve the spanish community. Ketty Rodriguez, our FALDP Ambassador in Lee County has stepped up to assist us in this outreach campaign. She is accepting the calls from these pages, and if she is unable to assist will forward requests for services to other FALDP members who are Spanish speakers. In addition, Ketty is able and willing to assist other members who encounter a Spanish/ English language barrier. 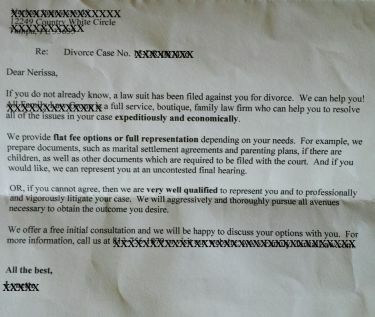 Recently, I prepared divorce documents for a woman who is originally from Mexico. Her English is good, and we went through the intake with no problems. However, she could not understand my instructions as to how to have her husband served. I suggested that she may be better served by speaking to a colleague who is a spanish speaker. Ketty to the rescue. Ketty contacted her, explained the steps and the husband was successfully served. After a brief hiatus, the family law leads are again displayed on our site menu under Document Preparers' Resources. We are now able to provide geographic specific family law leads to our members, with the caveat that geographic specific leads (whether by county or counties) will not come to you as quickly as would statewide leads. We have a new contact person for the Affiliate Courses - these are the Co-Parenting Course; the Florida Fun Traffic School; and the Teen Driving Course. The Co-Parenting Course is required throughout Florida for all divorcing parents; and all couples who were never married, have a child together, and are now separating (Petition to Determine Paternity and Related Relief). This course is fully DCF approved, and since your customers are required to take the course anyway, you may as well earn a commission. The Florida Fun Traffic School and the Teen Driving Course are approved by the Florida DHSMV. The Florida Fun Traffic School is the course that people take so that points will not appear against their license. The Teen Driving Course is required for all first time teen drivers seeking a learner's permit. Complete the respective forms linked on the Affiliate Page and be sure to enter FALDP as your referrer. Then contact Maria Valadez at 888-662-6352 so that she can issue you your tracking link. You'll receive money in your mailbox for each completed course referral, payments are sent out by check quarterly. You can copy and paste the banners displayed on the Consumer Courses Page to place on your site or use in your advertising. We also have other size banners if you prefer a smaller graphic.